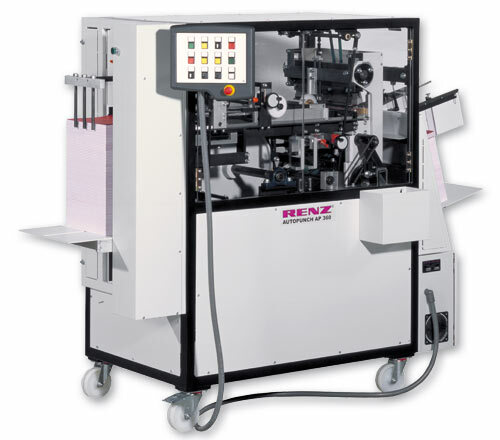 Each Renz machine is the result of numerous technical innovations and considerable practicle experience. The AP 360 meets a variety of requierements, which were established as the result of an intensive exchange of ideas with users. 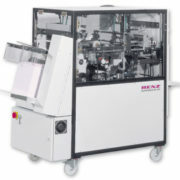 The result is top quality punching technology, which delivers totally new levels of performance and economic efficiency. 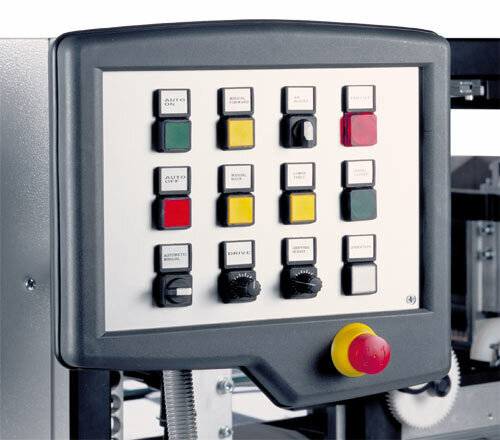 Format adjustment without tools uses hand wheels with analog position indicators for fast, accurate adjustments. 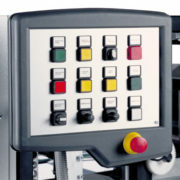 The various machine functions are controlled by buttons located on the control panel. 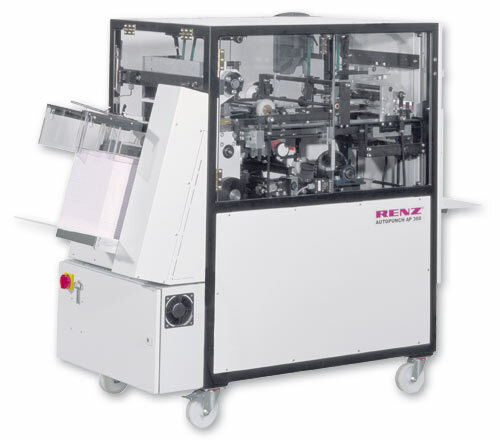 Punching can be a bottleneck in the production chain-whether you produce small and average-sized runs or extremely large runs. Efficient production of these jobs is the key to added profits. The AP 360 gives you the shortest set up times and allows you to punch small quantities efficiently. In addition, the AP 360 is mounted on wheels for easy transport and the compact profile can pass through standard doorways. Not available in other machines in this category. The layers of paper are picked up gently, even when punching mixed paper types and heavy weight papers. An adjustable air blower is available (optional). 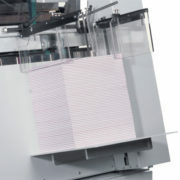 After punching the sheets are rotated around a large drum to maintain the correct page sequence at the output station. 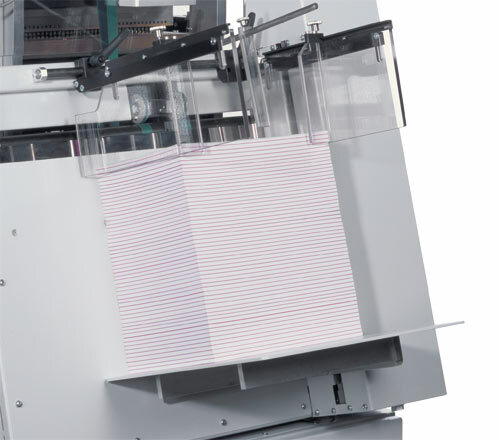 Paper format can be changed in seconds with QSA* punching dies. 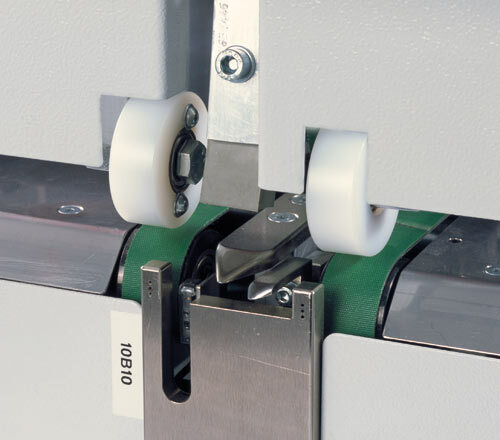 This feature reduces the set up time by as much as 15 minutes and is unique for fully automatic punching machines (*QSA = Quick Size Adjustment). Heavy duty components and the latest stepper motor technology are used for reliable operation with minimal wear and a long life span. With the help of a spare parts package downtimes can be reduced to a minimum. Punching speed: 40 – 100 strokes/min. Weight: net / gross: approx. 712 kg / 1570 lbs.